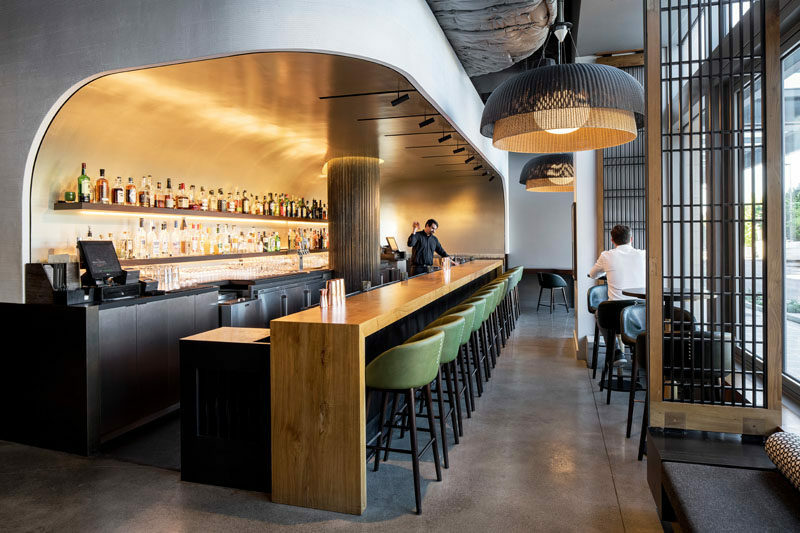 Seattle-based firm SkB Architects have recently completed the interior design for ‘Wild Ginger‘, an established Southeast Asian restaurant that moved to a new location in Bellevue, Washington. The redesign, which includes a visual rebrand by Hornall Anderson, aimed to create a more intimate experience as well as satisfying the increased interest in happy hour culture. Stepping inside, diners are presented with a luminescent bar and lounge. The bar appears to be set into a curved niche, that’s been finished with silver leaf squares, creating a luxurious, subtly reflective backdrop. The bar top is made of polished teak, while custom-designed lights recall traditional woven fishing baskets. At the end of the bar and lounge area, there’s the restaurant. 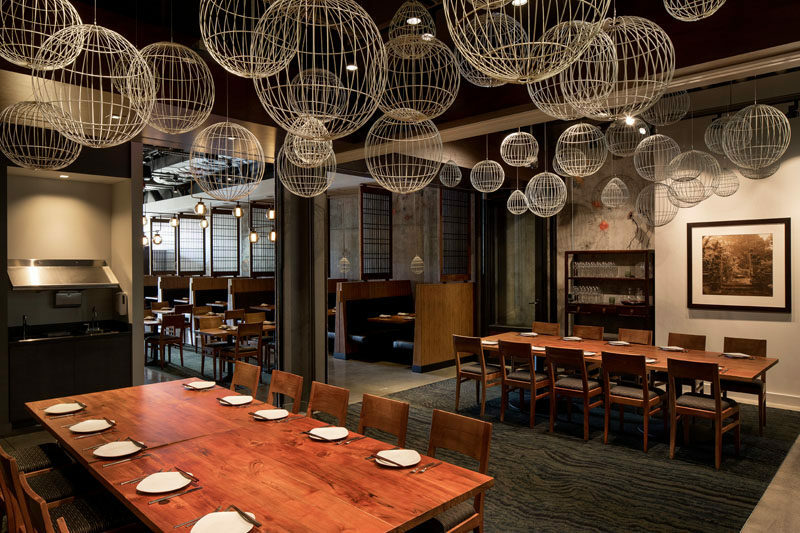 Slatted teak screens separate booths that line both sides of the dining area, while a single row of tables through the center of the space can be arranged to accommodate small groups or aligned to make one long table for a single group. At the rear of the dining area, there’s a pavilion-like area with custom, sliding wood screens that enable the space to be closed off and used as a private, group dining venue, while lantern-like lighting and murals inspired by aged oriental carpets add to the Southern Asia feeling found throughout the interior.